Meghan and Evan Feige have long known about Friends of Ngong Road (FoNR). They grew up with Meg Meyer, the daughter of president and founder, Paula Meyer. They saw the work of Paula and the board and heard stories of children’s lives being transformed. Last month, the Feiges took their experience with FoNR a step further. Requesting leave from their full-time jobs at Cargill and Target, they spent some time in Nairobi working with our recent high school graduates. They created and led a variety of workshops including: personality styles, mock interviews, personal brand, emotional intelligence and more. Meghan and Evan stressed the importance of personal exploration through interactive activities, case studies, reflection and dialogues. Such skills are not usually taught in school in Kenya, but the personal awareness and critical thinking abilities are imperative to students’ post-secondary experiences and their success in future careers. Our recent high school graduates were surveyed after the experience and the majority commented that it was one of the most valuable trainings they had ever received and enthusiastically recommended that workshops be conducted for future graduates. The Feiges enjoy seeking opportunities to learn about new cultures. The couple lived in Mexico City, where Meghan worked for Cargill. They saw poverty and injustice in Mexico and have seen similar inequities in their own community. But what they saw in Kenya was different. They knew the kids. There was trust among the families, who welcomed the Feiges into their homes. The students opened their hearts to welcome and teach them. The FoNR staff helped them better understand. They left the country with hope for the future and a new perspective on life. Their experience continues to have an impact both in the U.S. and Kenya. Evan has worked with peers at Target to donate cases of professional clothing to our recent graduates who are applying for jobs. Our board and staff are working to ensure similar training workshops happen in the future. And, our high school graduates are more prepared than ever to reach their highest potential. Thank you, Meghan and Evan, for partnering to transform lives! Our Students Outperform Kenyan Average Again! 8th and 12th grades in Kenya are extremely important school years. 8th graders take an exam that determines to what level of high school/technical training they can gain admission. 12th graders’ exam determines which type of post-secondary training they can pursue, which in turn determines career and very likely, their income. The system is very black and white. Breaking the cycle of poverty can come down to one exam. Imagine being 13 or 14 and knowing that this one exam will determine the quality of high school you’ll be able to attend. And your high school education impacts your chances at a good higher education program and career! It is a big deal! We invite you to learn more about the Kenyan education system. In 2016, our 8th grade class scored higher than the Kenyan average, an accomplishment our students have made for the past eight consecutive years. Our students averaged 290 out of 500 points while the national average was 245. Five of our students scored above 350 and will likely be accepted to the most prestigious high schools in Kenya. Our 12th graders also completed the important exam to gain entry into post-secondary schools. Thirty-two students took the exam, and 14 scored high enough to be accepted into college or university-level programs. The others will likely attend one- to two-year trade schools. Thank you to our generous, committed sponsors. It is your investment in your student’s education that is making this success possible. Hillary Anabwani. Hillary is a very strong student. He lives with his mother and father, who are both HIV+. Hillary’s mother says, “He has a bright future ahead of him should he continue to work hard.” Hillary is sponsored by Dave and Sue Kanz. Sharon Kwamboka. Sharon has been at the top of her class for several years and is a standout student in the computer lab courses taught at our offices. 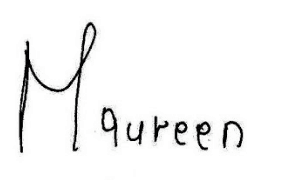 She lives with her aunt, two brothers and a cousin. Sharon is sponsored by Neha Patel. Joyce Atieno. Joyce lives with her HIV+ mother and four siblings. 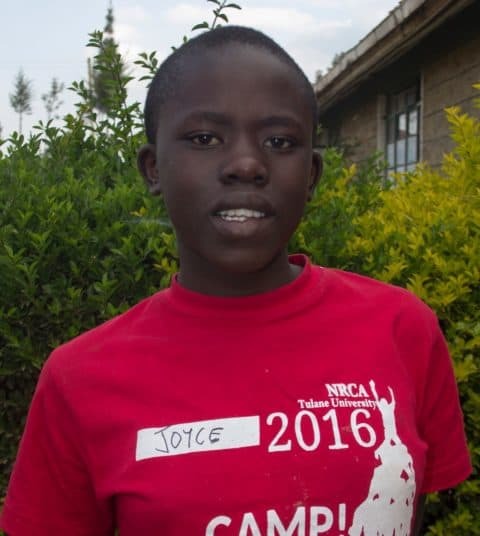 Joyce’s favorite subject is social studies and her teachers recognize her as a leader among her classmates. Joyce is sponsored by Millie Acamovic. Willis Odour. Willis has consistently been at the top of his class since joining our program. He is an orphan who lives with his uncle, aunt and three cousins. Willis is sponsored by Ronan Smith of Bimeda Ltd., and Maurice Musanya. 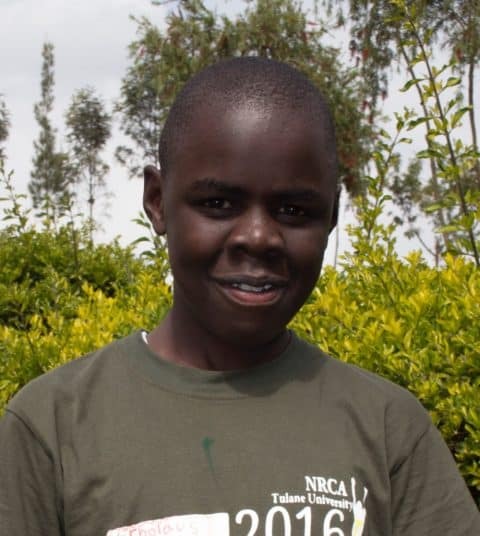 Edwin Omondi. Edwin has been in the program since 2012. He is an extremely social student and is often making his friends and staff laugh. 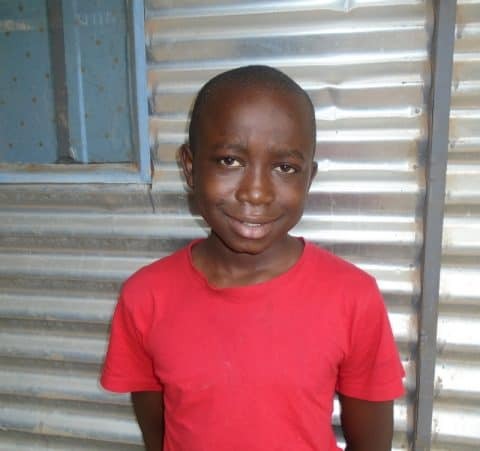 Edwin’s family recently moved to a new home with electricity, so he has been able to better study in the evenings. Edwin is sponsored by Greg and Patti Lais. 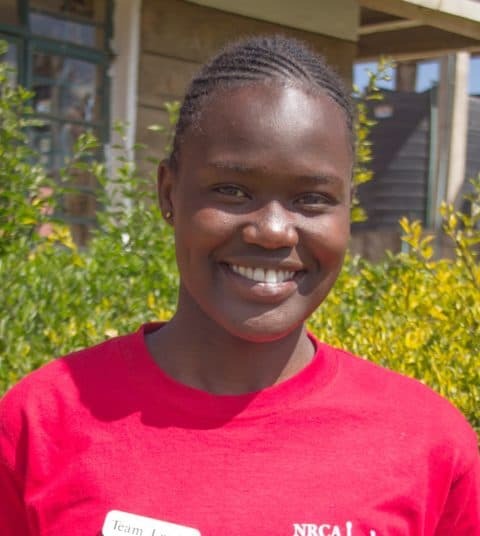 Rose Adhiambo. 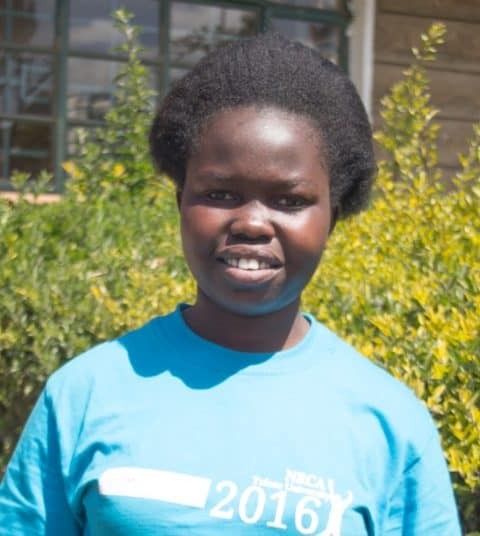 Rose attended Ngara Girls secondary school, a national school that is one of the top performing in the country. 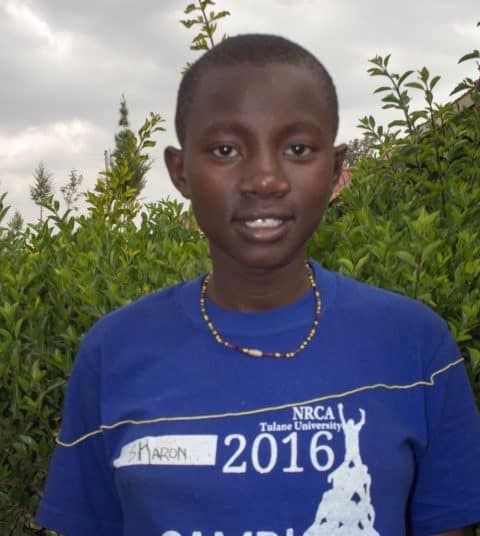 Rose’s smile lights up the room, and she is a leader both in the classroom and among her peers. Rose is sponsored by Steve and Judy Lewis. Lensa Achieng. Lensa also attended Ngara Girls secondary school. Our students attend boarding school at the secondary level, so students in a particular school do nearly everything together. Fortunately the students at Ngara Girls have continued to be great students! Lensa is sponsored by the women in “Carol’s Knitting Ladies” club. Francis Githinji. 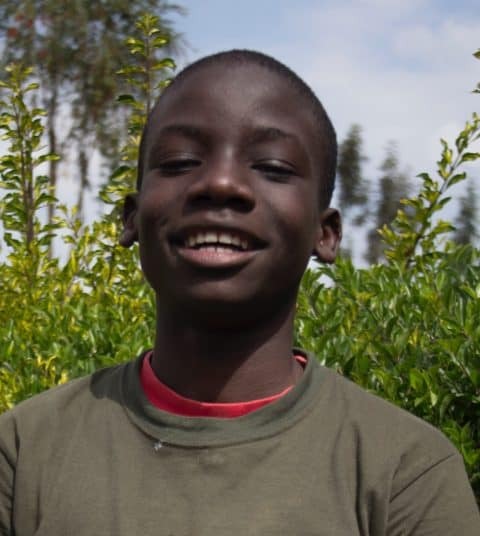 Francis attended Parkland Boy’s School, a quality school nestled in the heart of Nairobi. Francis has been a leader at camp several years and is a role model for many of our students. Francis is sponsored by Andy and Heidi Walz. Daisy Atieno. Daisy is the oldest in her family with four younger brothers. Both of her parents are alive and HIV+. 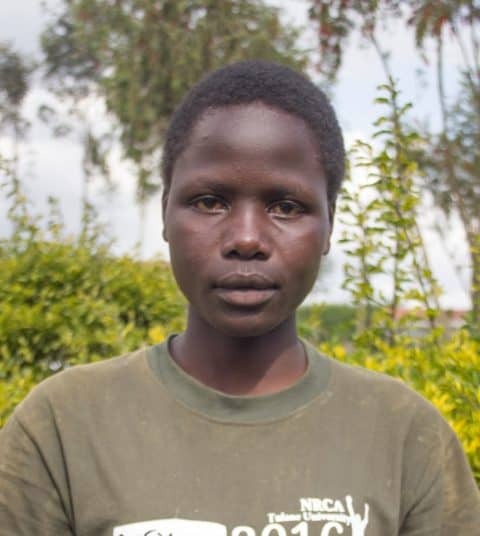 Because Daisy was supported by the program since 2010, her mother has been able to save a small amount and recently opened a business to support the rest of her family. Daisy is sponsored by Cynthia and Joe Walz. Notes from Paula: I Can Get a Job! I am sitting at Jomo Kenyatta Airport awaiting my flight back to the middle of the U.S., reflecting on highlights of my past 10 days in Nairobi. I always try to reserve some time to spend with students because that is what feeds my soul so this time I spoke 1:1 with 30 students who have been in our program between 8 – 11 years. We had a total of 31 students who successfully graduated from high school in 2016; all have joined the post-secondary program. This past month we had U.S. volunteers in Kenya named Meghan and Evan Feige. They spent two weeks and conducted training for the 2016 graduates. The first week focused on improving self-awareness: Meyers-Briggs, emotional intelligence, understanding your strengths, developing your personal brand, and communicating effectively. Having now interviewed these 2016 graduates, I can say unequivocally that this training was profoundly impactful and a real eye-opener to all of them. In Kenya, school is designed to help students prepare for tests. Those who are most successful are humble, do what teachers say, memorize effectively, do not challenge and therefore succeed on exams. People who are innovative, risk-takers or a bit defiant often get kicked out of school. Imagine having that kind of high school experience and then going to a class where someone asks you what your strengths are or asks you to understand the difference between people who are introverts and extroverts. Suffice to say, their minds were blown! The second week of Meghan and Evan’s training focused on very practical activities: writing a resume, practicing an interview, thinking about how what they learned in week one applies to their futures. In addition to this training, they are taking a 3-month Computer Skills Certificate Program from a well-known Kenyan organization. They have also had lectures and interactive sessions on Career Planning and Communications Skills. One of our graduates will enroll in a civil engineering course, two will become nurses and one will study to become a veterinarian. Other career interests include agri-business, teaching, community development, the hospitality industry, land management & surveying, IT and more. In the coming months, these students will formalize their plans and we will communicate their plans to their sponsors. Our agreed-upon goal (between the U.S.board and Kenyan operations) is that a minimum of 75% of students who complete high school and some post-secondary education will get jobs in the formal Kenyan economy. Estimates of the unemployment rate in Kenya are just that, but the most common unemployment rate I hear is 40%. We believe getting a good job is the ultimate “proof” of effectiveness of our mission to support these young people as they seek to transform their own lives. We are confident graduates of this program will outperform Kenya’s unemployment rate of 40%. As always, thank you for your support. The transformation in these students’ lives is profound and will reap benefits in Kenya and the world for generations to come. The event was special since it brought together all the families, the NRCA Board of Directors, NRCA staff, BIMEDA Managers and Chris Adams, one of our top Kenya sponsors and donors. We are very grateful to: BIMEDA and Kenchic who jointly donated 260 chickens, NRCA and Karibu Loo Limited (KLL) Board Chairs Rajpreet and Raj Bains who jointly donated maize flour, Chris Adams, Langata West Primary School, Jonathan Njeru and Ben Waweru who jointly donated sugar, rice, beans and cooking fat. Without our supporters, the day will not have been a possible. Some supporters do not realize that we do not run our own schools, Rather we’ve found it more beneficial to partner with schools in the local area who show good student outcomes. Monitoring and evaluating student’s performance throughout the year and recommending whether it’s advisable to admit new students in that school. Visiting existing well-performing schools to strengthen the relationship. Identifying and building new relationships with other institutions that perform well. Working hand in hand with the school administration of our focus schools when called upon and during school visits to address any issues and also motivate students as they progress in their studies. 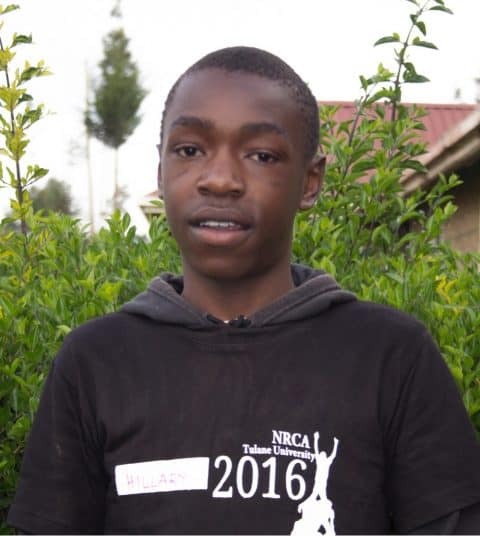 In our effort to improve the secondary student’s performance and break the poverty cycle, we are planning to take them through a study skills training using the expertise of our NRCA Board Members, Robert Murimi. 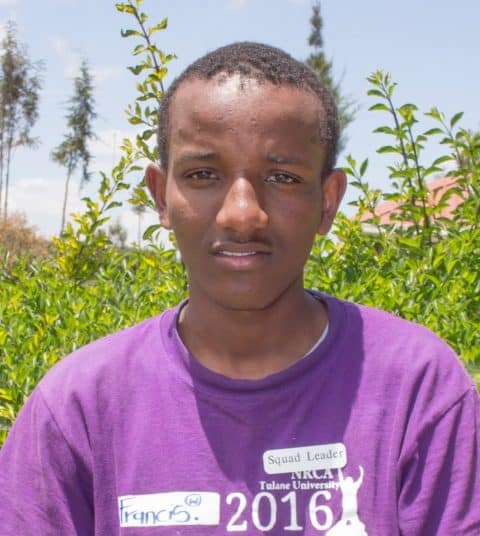 Robert trained the staff and students of a Kenyan school whose performance ranking improved from 87 to 25 in the country in the annual Kenya Certificate of Secondary Education (KCSE) examination. We plan to train our primary and high school children on effective study skills. The training entails: wise time management, good listening skills, being well organized, class attendance, use of study groups, taking short notes, setting and achieving goals, effective writing skills, approaching studies with the right attitude, choosing the right environment, minimizing destruction and setting realistic schedules. Our plan is that the training should commence in March for the primary school children and our caseworkers, and then for high school children in April. Our long-term plan is to incorporate skills training in the August camp and have regular mentorship sessions throughout the year. It is our hope that our children’s final grades will improve after the training. All of this work is possible because of the hundreds of individuals, organizations and companies across the world who believe in the children and are making a difference. Annual Appeal Meets the Match and More! We raised over $130,000! We made our match, and more! The Truscott Family Match of $60,000 for the 2016 Annual Appeal was more than reached with a total of $71,000 raised from individuals. That’s over $130,000 with the match! Thank you to all who helped ensure every child in our program has a chance to change the trajectory of their lives. That chance starts with education provided by sponsors for each child, however, we know that if students are sick, hungry, suffering from the trauma of losing one or both parents from HIV/AIDS, or feeling hopeless, they are not learning. The annual appeal provides funding for supplemental programs to remove barriers to education and provide needed resources for success. It helps provide meals, medical care, and a supportive community of caseworkers. This year’s annual appeal success of over $130,000 could cover the cost of 8,666 months of meals for a child, or 520 trunks full of uniforms, shoes and supplies for boarding school students, or 650 doctor visits. It will give 400 children with access to education and support an opportunity to succeed that they otherwise would not have. Thank you for helping to change lives. From the children, their families, and Friends of Ngong Road, “Asante Sana.” Thank you very much.